The end of the year is approaching quickly and the month of May has drawn to a close. That means it is time for another update on the students’ progress over the past month. In Science, we have almost reached the end of the book and we have continued our study of matter. We have continued looking at properties of matter, paying particular attention to magnetism and buoyancy. We did some experiments looking at what materials a magnet will attract as well as what causes different objects to sink and float. Following on from this, we began looking at solids, liquids and gases. The students learned the characteristics of each of these, how the particles move in each and how to recognize which is which. In Social Studies, we have completed the book and so have begun a bit of a research project for the final few weeks. The students chose world cultures as the topic which they are most interested in learning more about so as we finished the book, we moved away from the American side of the curriculum and have been learning about different European regions the students wished to learn more about. We began by looking at Scandinavia which is a very famous area in the North of Europe, comprising of five different countries; each one famous for its individual beautiful scenery and history. After this, the students learned more about the four countries in the United Kingdom and what causes them to be grouped as the UK is their common leader Queen Elizabeth. Finally, the students learned about Ireland, including a bit about the history and some old folklore stories which are famous on the Emerald Isle. 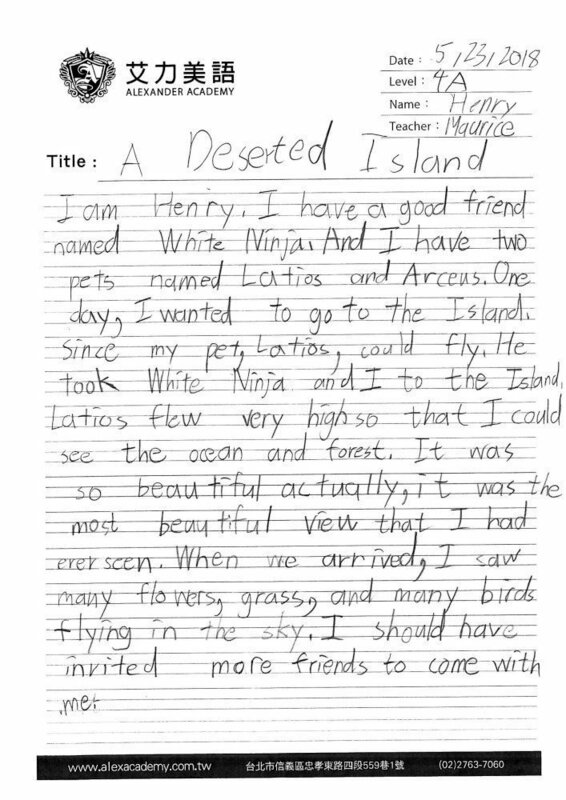 For Reading and Writing, the students have been doing the more independent reading and work in pairs as we looked at the stories of The Pirate Substitute and Why I’m Late Today. This independent work and discussion in pairs have helped the students work on their critical thinking as we have been looking at the skills of character development and cause and effect. 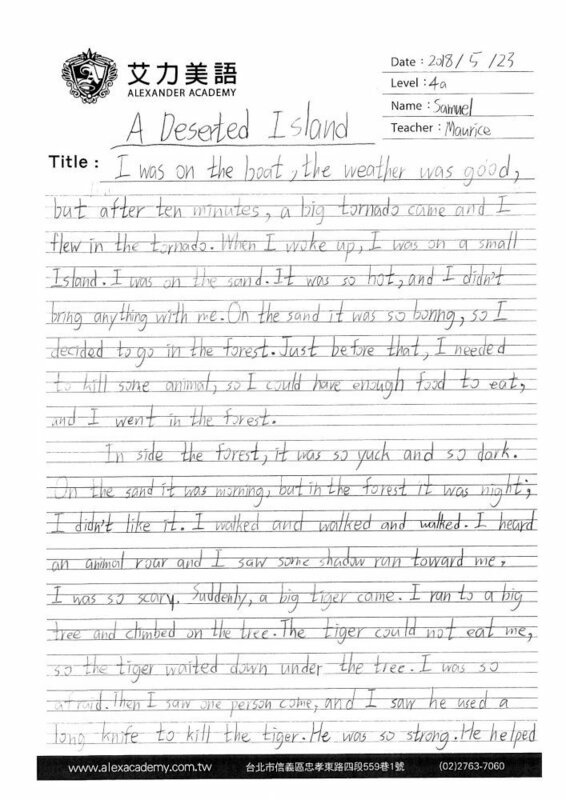 For our writing project this month, the students first completed a brainstorming work with half the class imaging what they would hear, see, smell, taste and touch on a deserted island of their nightmare, with the other class completing it based on an island of their dreams. 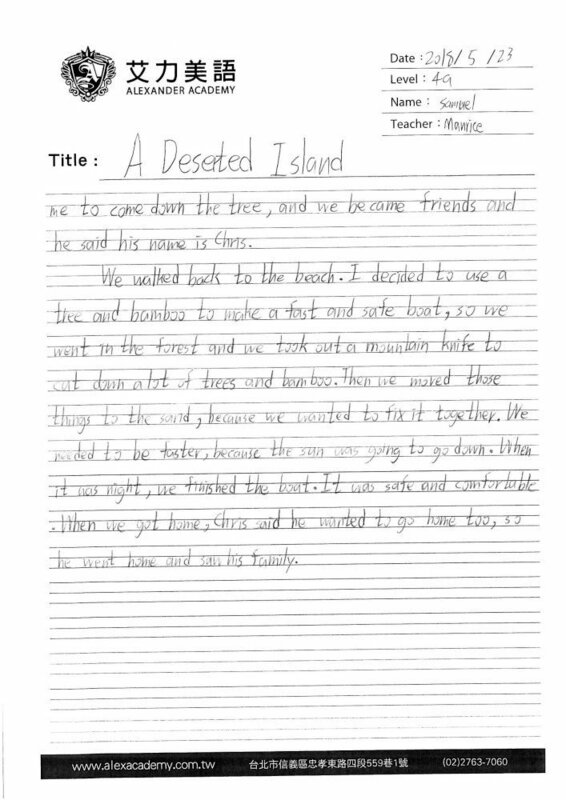 The students then began working on their Deserted Island work, where they were given the task of writing a piece based on an island where they are alone, but then run into another person and a problem arises. In Grammar class, we have been concentrating on past tense verbs. We began looking at regular past tense verbs, with the students learning the different rules for when to add ed, d, ied or double a consonant before adding ed. After having completed this, we began looking at irregular past tense verbs. As there are not any strict or easy to follow rules for this, the students are learning how to memorize the most common of these tricky verbs. That’s all for the month of May. Now it’s time to get started with the month of June and the students to get started on their final few weeks in the 4A class.